Twist your way to slimmer abs, hips, and thighs. 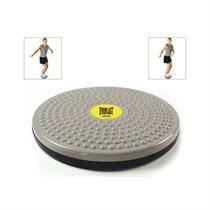 High-impact, rotating platform provides a vigorous form of aerobic exercise. Precision ball-bearing ride for smooth, fluid motion. Email your friend about the Everlast For Her Twist Board. Ask a question about the Everlast For Her Twist Board.